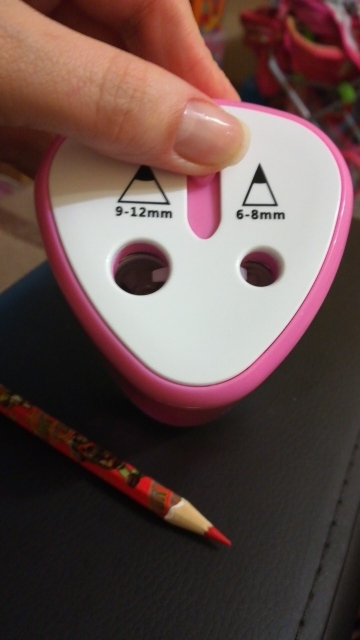 This item is a electric pencil sharpener. It is practical for there two holes for most kinds of pencils. 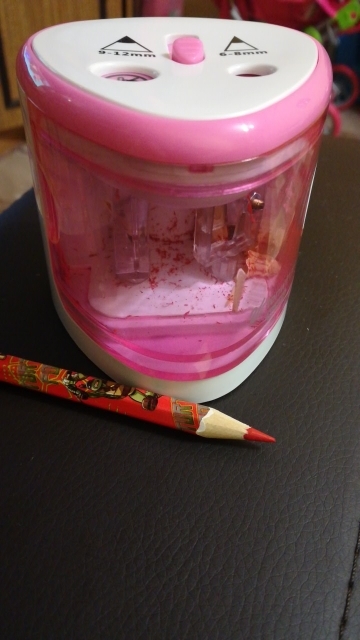 Auto-stop safety feature prevents this pencil sharpener from operating if the shavings box is open. The knife holders are removable, which extends its lifespan and makes it easy to clean. - Its powerful electric motor will polish and sharpen every pencil to a perfect and durable point in only 3-5 seconds with ease. Two holes of different sizes are good for all 6-8 mm and 9-12mm diameter pencils. 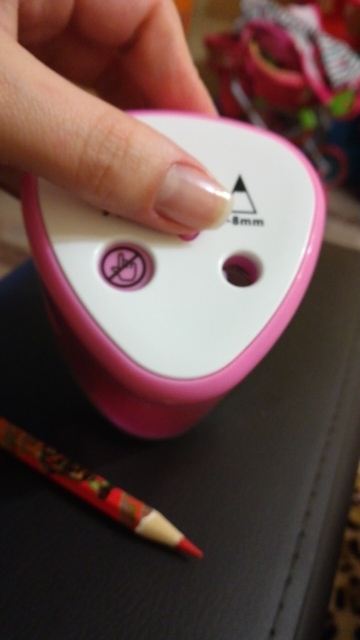 - This pencil sharpener will stop working if the shavings box is open. The protection lid for 9-12mm pencils prevents the kids inserting their fingers into the hole, which makes it an ideal choice for young kids. Perfect for artist , students and professionals at home, school and office. It can also be used as a cosmetic pencil sharpener for eyebrow lip liner eyeliner. - It needs 4 x AA Batteries (not included) to run the pencil sharpener.- Removable knife holders and concise design makes it easy to clean up. super. work. точит perfectly. recommend.